Kids six bin storage shelf provides decorative storage space for books, toys and other belongings. 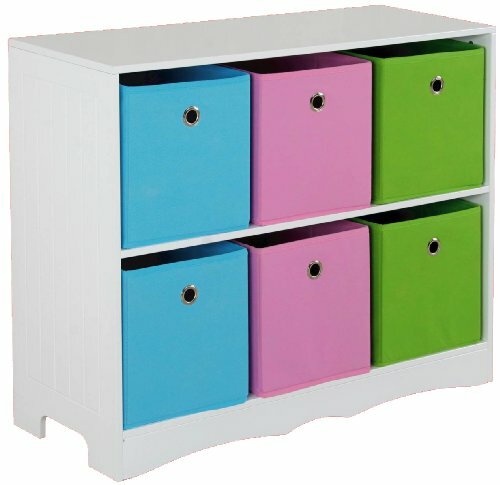 Constructed from a white fiberboard finish with multi-colored canvas storage bins. Perfect for any play room or child's bedroom.